I’m your guy to fix it fast! Experience matters when choosing who you're going to trust to fix your hacked website and reestablish your good standing with Google. Read any of our 100s of 5 star reviews and see why it just makes sense to hire a full-time service company with years of website and security experience to resolve your website security issues today. HackRepair.com will have your hacked website secured, cleared of malware and running again in a matter of hours! All for one reasonable flat fee with no surprises or recurring charges. Call 619-479-6637 to speak with the actual person handling your website's cleanup. 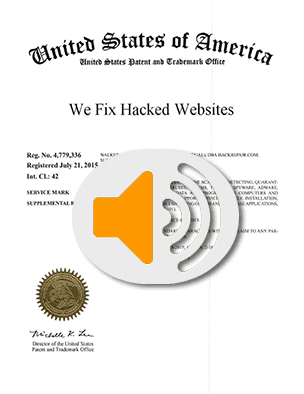 As the #1 best reviewed website hack repair service in the US, we've got your back when your website has been compromised. • We upgrade your WordPress and Plugins free of charge. • We repair up to 3 shared WordPress sites at no extra charge. • Most sites fully upgraded and secured within 2 hours. • We install and setup a free backup and security system. • Includes clearing of Google blacklisting and bad-text search results. Has My Website or WordPress Web Site Been Hacked? 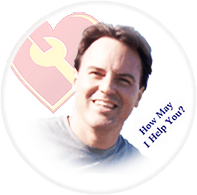 "Who can help me with my hacked website?" We'll have your hacked website secured, cleared of malware and running again in a matter of hours! All for one low flat fee with no recurring charges. It's so hard to know who to trust to fix your website. We get that. So we want You to know that 1000s of people have trusted us over the 18 years we've been fixing hacked websites. If you need some reassurance, check out 100s of verifiable 5 star customer service reviews here, here and here. We want to speak to you by phone, so please call (619) 479-6637 to speak to the actual person handling your website's cleanup. Together we'll review your website and devise a plan to have you fixed in no time. HackRepair.com offers more service than any other website cleanup and security service. 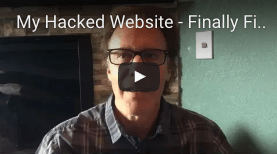 Once we've completed a full and thorough cleanup of your website, we'll go several steps further in fully locking down your website against future hackers. We'll set up free custom security measures where possible, help you set up a website backup strategy, help repair basic website errors, upgrade your WordPress and plugins, give you a full written report and we'll discuss all work completed by phone if you'd like. And here's something no other service offers: we'll fix up to 3 shared WordPress sites within the same shared account at no extra charge! * We even provide ongoing WordPress management and security services for just pennies a day! Please ask us about our low-cost anti-hacker solutions once we've fully secured your website against hackers. 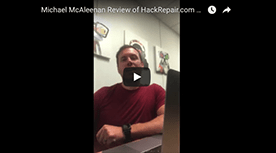 Learn more about our HackRepair Website Cleanup Service—Listen Now? 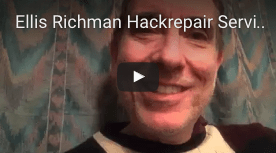 The videos below are from actual HackRepair clients following the cleanup of their websites.